The Mokelumne River AVA (American Viticultural Area) is one of the seven sub-appellations located within the larger Lodi AVA established in August 2006 by the TTB (the U.S. Department of the Treasury’s Tax and Trade Bureau). The AVA is named after the Mokelumne River, which drains out of the Sierra Nevada Mountains into the San Joaquin River, meandering through the northern portion of the established appellation, with connecting creeks, sloughs, a canal and aqueduct running through its interior. To qualify as an AVA, every region must demonstrate historic reasons justifying its boundaries and identity. “Mokelumne” is derived from the language of the Plains Miwok. According to Ralph A. Clark (Lodi – Images of America), mokul is a corruption of the Miwok word for river, and umne means “people of.” A Spanish missionary named Narciso Durán referred to the river area as Muquelumnes in an 1817 document; and around 1844, the American explorer John C. Frémont is credited with the modern spelling of the name Mokelumne (also the original name of the City of Lodi until 1874). The topography of Mokelumne River is defined by the river region’s alluvial fan of fairly uniform elevation (10 to 85 feet), flat topography (less than 2% slope), and soil (fine sandy loams or loamy sands of granitic origin, classified in the Tokay and Acampo series). The AVA’s higher points are at its eastern edge, bordering the hillier, clay loamy Clements Hills AVA; and the lower sites are located along Interstate 5 marking the western boundaries along the lower lying Delta region (at or below sea level), and Eight Mile Rd. marking the southwest boundaries (and north edge of Stockton). Mokelumne River is separated from Lodi’s Jahant AVA to the north by Jahant Rd. and the Mokelumne River where it begins to wind in a north-westerly direction before joining the Cosumnes River (a tributary of the Mokelumne) – a natural dividing line recognized by families farming in the area for as long as 150 years as the points where soils transition from Mokelumne River’s pale, fine sandy loam to Jahant’s pinkish-brown sandy clay loams. The Mokelumne River AVA encompasses 85,700 acres (134 square miles), of which about 42,000 acres are planted to wine grapes – over 40% of the Lodi AVA’s total planted acreage (the larger AVA’s plantings now exceed 103,000 acres). 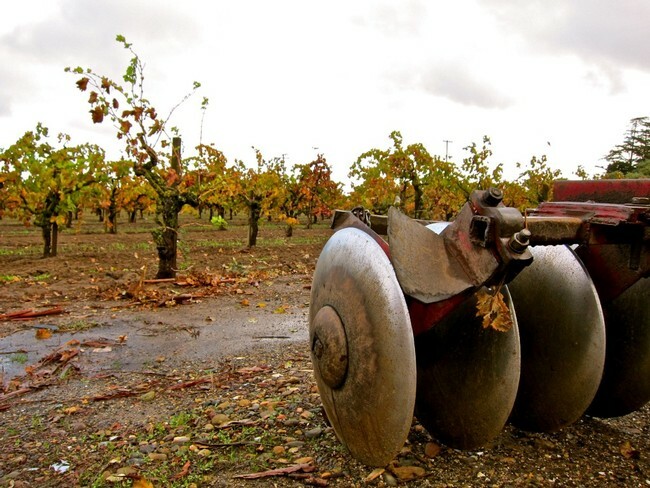 Mokelumne River’s plantings – surrounding the City of Lodi, located at the approximate center of the appellation, and in the vicinity of the adjoining CDP communities of Woodbridge, Victor, and Acampo – are the longest established vineyard sites in Lodi. 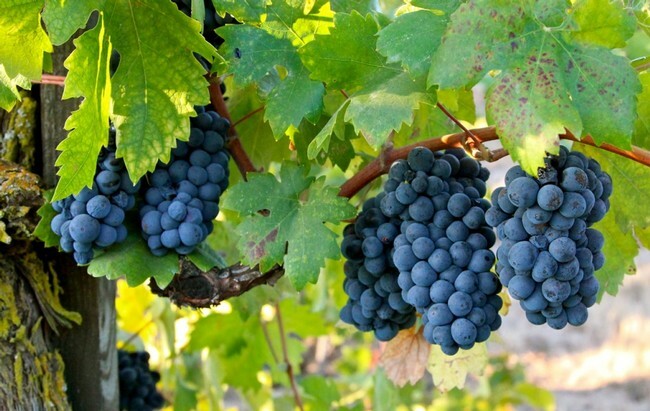 Cultivation of classic varieties of Vitis vinifera – for wine as well as raisin (utilizing the seedless Sultana grape) and table grape (especially with pink skinned Flame Tokay) production – probably began in the Mokelumne River region during the 1860s, when Stockton’s El Pinal Winery (established in 1858) began contracting farmers to plant with cuttings brought in regularly from East Coast nurseries. Today, with its oldest continuously farmed vineyard (Bechthold Vineyard) dating back to 1886, the Mokelume River AVA could accurately be described as Lodi’s historic heart and soul. 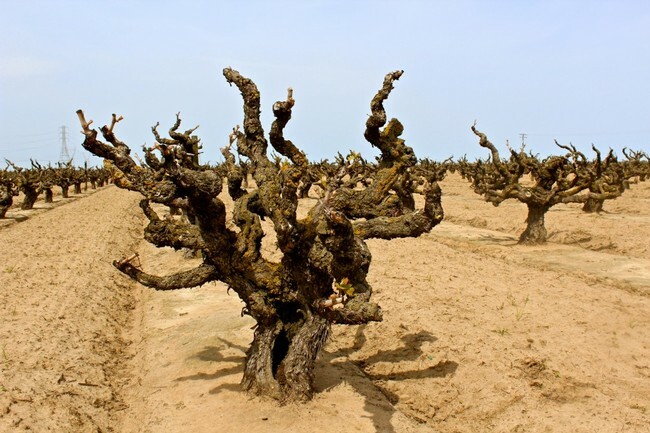 While most of the Lodi AVA’s wine grapes are now grown outside the Mokelumne River AVA, the older region still dominates in terms of Zinfandel, which has always been considered Lodi’s heritage grape. In fact, Lodi crushes over 40% of California’s annual Zinfandel crop – the vast majority of it grown in the Mokelumne River AVA. 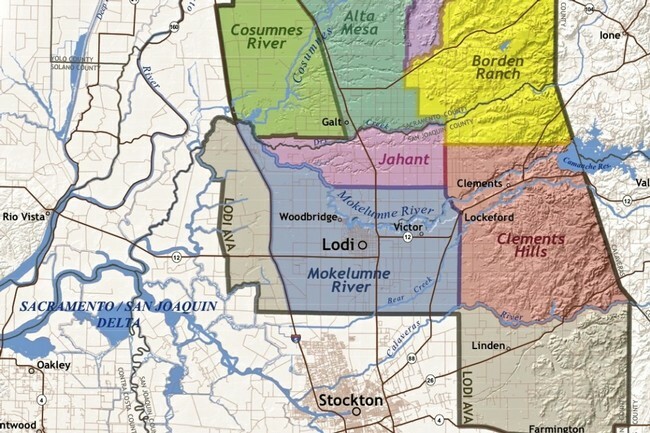 In the original 1982 petition submitted to the ATF proposing the establishment of the Lodi AVA, it was noted that the Lodi wine region contained approximately 39,000 acres of vineyards and only 15 bonded wineries. 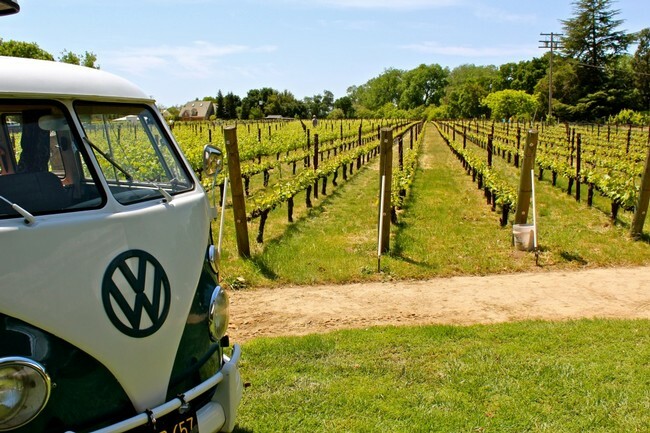 Since then, the number of bonded wineries based within the vicinity of Lodi has grown to over 60, plus numerous other non-bonded brands specializing in Lodi appellation wines. As with all wines, the growing prestige of Mokelumne River AVA grown wines are based on the classic wine concept of terroir – that is, the growing conditions that have a direct, tangible impact on wine quality and characteristics. Mokelumne River AVA wines are becoming increasingly known for their combination of gentle or soft palate-feel and rich, expressive fruit qualities. Much of this is attributed to the appellation’s Mediterranean climate – characterized, as with most of Coastal California between Santa Barbara and Sonoma County, as mild to hot, dry summers and mild to cool, wet winters. Mokelumne River’s Mediterranean conditions are influenced by the region’s direct proximity to the eastern expanse of waterways within the Sacramento-San Joaquin River Delta; particularly the narrow, tidal Carquinez Strait, which funnels cool air from the Pacific Ocean via San Francisco Bay even during the hottest days of summer. The Mokelumne River AVA’s growing season temperatures are the coolest among Lodi’s seven sub-appellations. Recent readings put its U.C. Davis climate classification, or Winkler scale (a measurement of average temperatures over 50° Fahrenheit during the growing season), towards the lower end of Region IV: on the par with the Napa Valley floor between St. Helena and Calistoga in average total heat summation; and in some years, in line with averages in Napa Valley’s cooler climate Oakville and Rutherford regions. 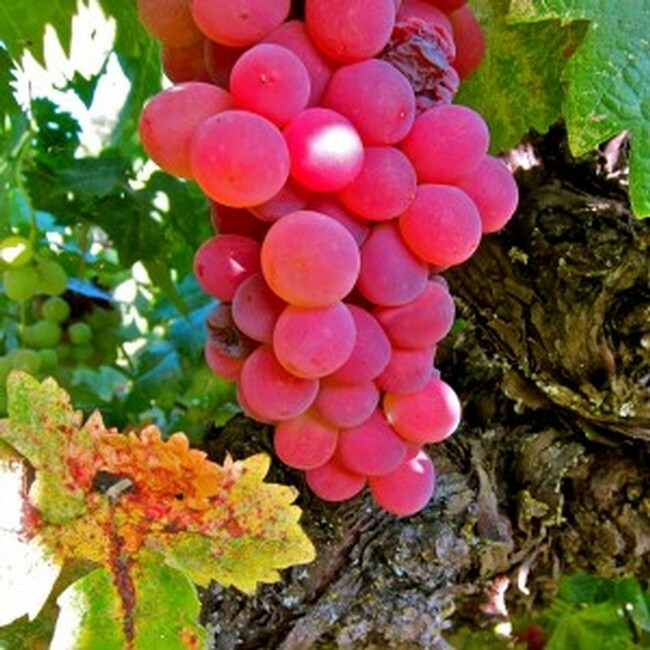 In other words, yields and grape sugar levels — usually influenced by vintage-specific factors such as spring fruit set and overall cluster weights — have as much of an impact on resulting wines as seasonal temperatures, although it is easier to achieve ideal grape pH and wine acidity in the cooler years. While the vagaries of vintages do not make for pat comparisons with other wine regions, generally speaking Mokelumne River’s mild variation of the classic Mediterranean climate produces white wines with much more fragrance and crisper natural acidity than what is generally assumed, and comparatively gentle, delicate, even feminine styles of red wines – especially in respect to Zinfandel and Cabernet Sauvignon, two of Mokelumne River’s major wine grapes. For this reason, varietal bottlings of Mokelumne River grown Cabernet Sauvignon are typically blended with substantial proportions of Petite Sirah, in order to bolster tannin structure (whereas in France‘s Bordeaux and most of Coastal California, Cabernet Sauvignon is typically blended with grapes such as Merlot and Cabernet Franc to soften tannin structure). When winemakers extol the qualities of Mokelumne River AVA grown grapes and wines, almost universally they talk mostly about soil. It is topography and soil that distinguishes Mokelumne River from the six other sub-appellations of Lodi, and it is the variations of a single soil type – from sandy loams to loamy sands – that distinguish some parts of Mokelumne River from other parts of Mokelumne River.